Rice is eaten all around the world, every day. It is a popular staple food, yet it is a food that many people think they cannot cook properly. Rice cookers provide restaurant quality cooked rice and are very easy to use. However, if you prefer, you can use a 4 qt pot. Cooking great rice is simple when following a few simple steps and if you select the correct method for the rice that you are cooking. If you do this, you are guaranteed to have soft, fluffy rice. Long-grain rice (such as basmati): This type of rice must be rinsed, and preferably soaked, before you cook it. This removes excess starch to ensure the rice cooks to be al dente. Brown rice: This type of rice takes longer to cook than normal white rice and also needs to be cooked in more water. You should also soak it for a minimum of 30 minutes, but preferably a few hours. This will help shorten its cooking time. If you are cooking brown rice using the following method, 1¼ times more water must be added. 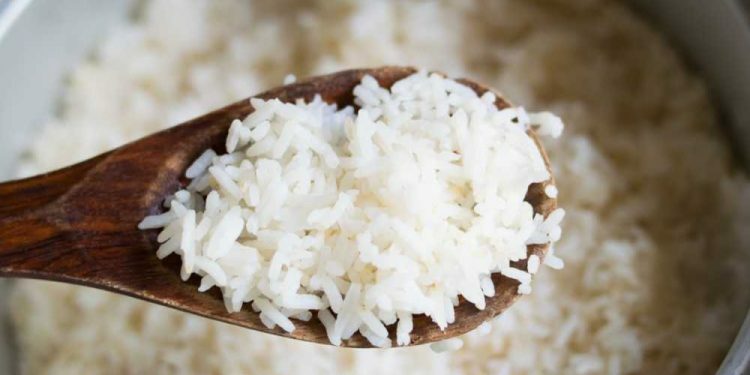 Say goodbye to sticky, clumpy rice by following these two rules. First, always measure your rice grains by volume rather than weight as this makes it simpler to work out the amount of water you need to add to the pot. Second, do not stir the rice while it is cooking. This causes it to break apart and become sticky. If you feel that the grains will stick together, you can add a spoonful of butter or oil to the rice cooker. There are two reasons that you want to rinse your rice. First, some mills from outside the United States use talc as their milling aid, so this needs to be removed before cooking. Second, by rinsing your rice, you are also removing the excess starch, which means your rice won’t be as sticky. It is best to rinse your rice with a few changes of water. 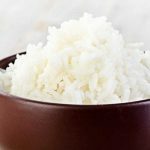 If you are using rice for an everyday meal, you don’t have to soak your rice, but it is preferable, especially if your rice is slightly older and has been stored. Soaking it for around 30 minutes makes the grain less prone to breaking. If you are making brown or basmati rice, it is traditional to soak the grains so that they can expand to their maximum length. Whether you rinse, soak, or do both, make sure that you have thoroughly drained your rice or there will be more water in the pot than there should be. 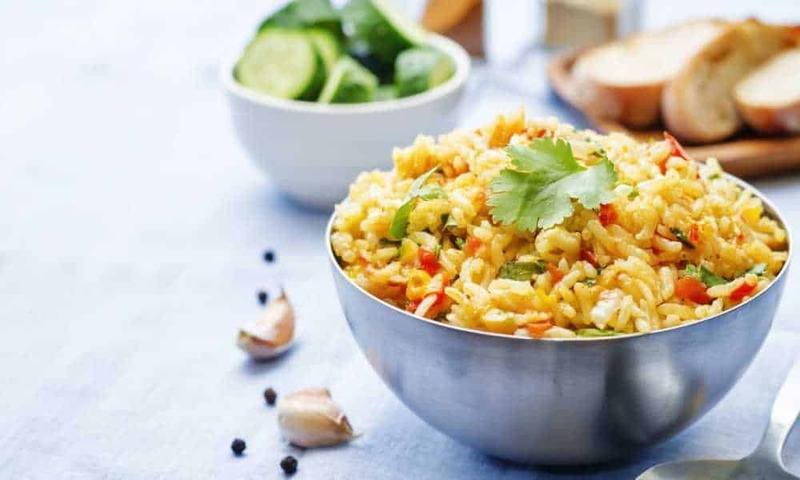 There are many different ways that you can cook rice, but the simplest way is absorption. This method entails cooking the rice in a carefully measured quantity of water. Once the rice has cooked, all the water should be absorbed. As the water gets absorbed by the grains, the trapped steam continues the cooking until done. The main thing to remember with this step is that you add the correct amount of water. Generally, the ratio of water to white long-grain rice should be 1.5 cups water to 1 cup rice. You may find that you need a little bit more based on how you like your rice to be cooked. Brown rice needs more water, while short-grain rice needs less. Remember that as you add more water, your rice will become stickier and softer. This is ideal for stir-fries and sushi. 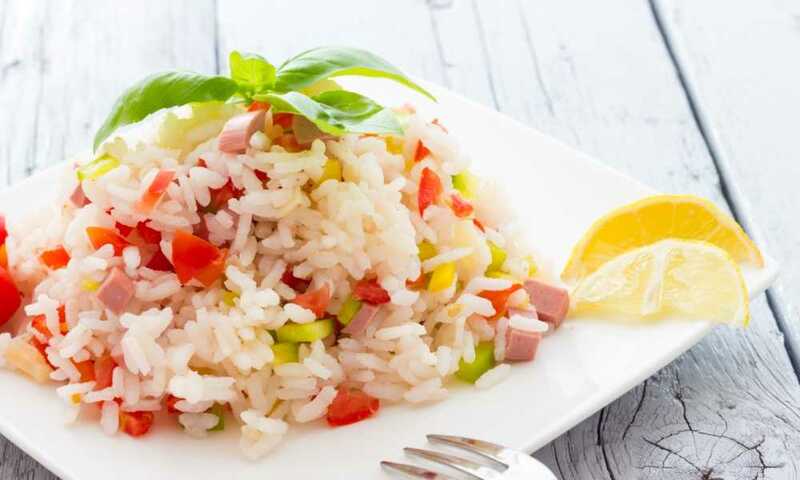 Less water makes the rice firmer, which is ideal if you are making a rice salad. Once the rice has been cooking for around 12 minutes, all of the water should be soaked up by the grains, and the rice will be al dente. To determine if the rice is cooked, taste it and see what you think about the texture. If it is chewy or hard in the center then add 1/8 to 1/4 cup of water. Place the lid on the pot and cook the rice for another 3-5 minutes on very low heat. Check the texture again after 3 minutes, making sure not to have the lid off for more than a couple of seconds. If the texture of the rice is satisfactory but the rice itself is too wet then cook on low heat with the lid off. However, if the rice grains are mushy, then it's time to start a new batch and use the rice for something else. This is a good article about what to do with overcooked rice. If for some reason you got distracted and ended up with burnt rice, take the pot off the stove and turn on the exhaust fan. Leave the lid on and run cold water over the bottom of the pan. Taste a few grains to see if it needs to be cooked a bit more. If so, put the unburned rice and water into another pan. Then put a slice of bread on top of the rice (to diminish or take away completely the burnt taste) and finish cooking (with a lid on the pan). Once you’ve tasted a few grains and the texture is right, the next step is to let the rice rest. 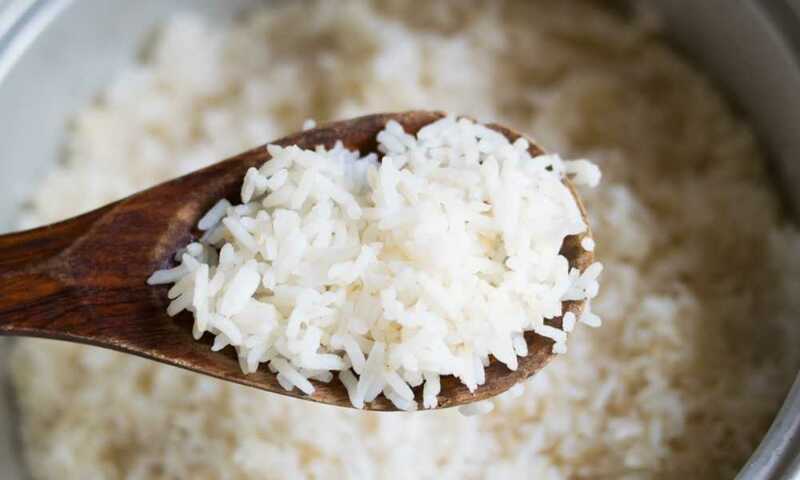 If you serve the rice prior to letting it rest, the top layer of rice will be fluffier and drier than the bottom, which may be fragile and moist. This is where you will need some patience. Leave the rice off the heat with the lid on for 5 to 30 minutes, the longer the better. This gives the rice time to redistribute the moisture so that the bottom layer is as fluffy and firm as the top layer. You will know your rice is ready when it is light and fluffy. Cooking rice doesn’t have to be frustrating, especially if you are using a rice cooker. They require less attention and are easy to use. 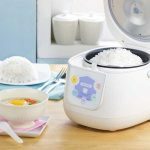 Cleaning your rice cooker is not time consuming. By following the above tips, you will have perfect rice every time. Keep in mind that everyone prefers their rice a certain way, so test out the amount of water until you find what you like. Once all of the water is absorbed and the texture is just right, then you will know your rice is ready and cooked.